From all over the country, people have been knitting miniature beanies out of yarn and mailing them as gifts to a teenage girl in Minnesota. 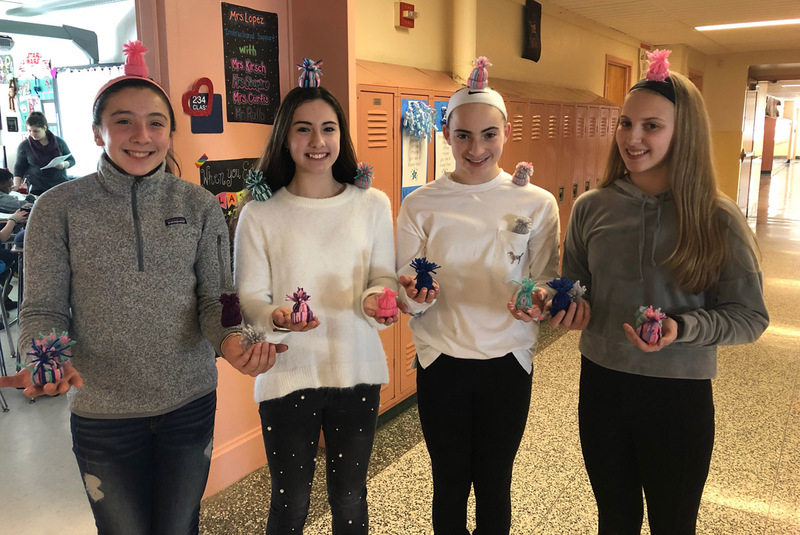 Goff Middle School students and staff joined that effort, and last Friday, shipped about 75 colorful little beanies to 14-year-old Nathalia Hawley. The project is called #BeaniesforNat, and it was started by the apparel company Love Your Melon, which supports pediatric cancer research. They started the campaign to support Nat who has been battling Osteosarcoma, a rare form of bone cancer. Goff Middle School made 75 mini beanies for Nat through the #BeaniesforNat campaign. Sadly, it was announced recently that Nat’s condition is terminal and she only has weeks to live. Love Your Melon used social media to ask for miniature beanies to be sent to Nat. In exchange for every shipment of beanies, the company pledged to send a Love Your Melon Beanie for free in return. “Over these next few weeks, we want to show Nat how much the Love Your Melon community supports her and we need your help to make as many of these mini beanies as possible for her,” Love Your Melon said. 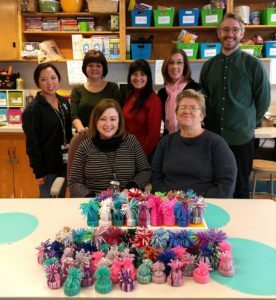 Members from Goff Student Council and staff from the Goff Knitting Club pitched in to make the mini hats and show some love to Nat. Love Your Melon announced on Monday that more than 24,000 mini yarn beanies were sent to Nat.